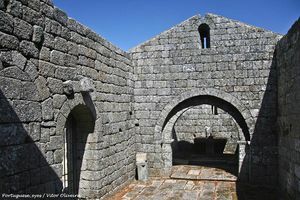 Visit the Capela de São Miguel do Castelo Chapel in Monsanto, Castelo Branco, Portugal. 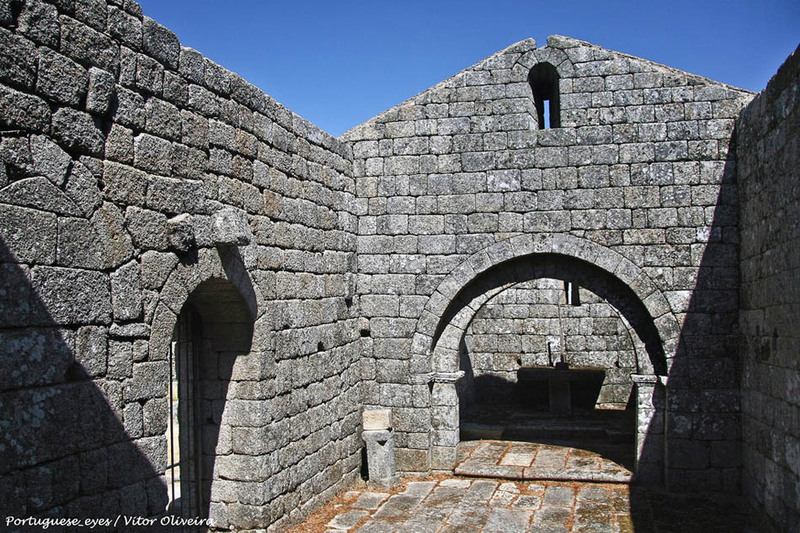 The Capela de São Miguel do Castelo Chapel is Romanesque in origin and was erected in the 12th century. This building is located under the Castle of Monsanto, in the district of Castelo Branco, Portugal. Outside its portico, you can see thirteen unsettling sarcophagi excavated in the solid rock. In one of the sides of the chapel there is a bell tower.